Alameda County’s Fremont has been named America’s most financially fit city in 2018. San Francisco and San Jose also count among the nation’s top five wallet-smart cities. Maintaining an excellent credit score, avoiding unnecessary expenses, and saving money are a few common-sense approaches to keeping one’s finances in good health. Buying a home in the Bay Area is an expensive proposition these days, so it makes sense that residents of three local cities are among the top five in the country for financial savvy. That’s according to an analysis by WalletHub, which ranks more than 180 U.S. cities for what it calls “wallet fitness.” The company claims that wallet fitness — which measures a household’s ability to maintain a top-notch credit score, minimize debt and spending, and exercise diligence when saving for retirement or emergencies — is one of the biggest stressors in the nation. By those criteria, residents of Fremont as the most financially savvy in America, scoring a 66.42 on a 100-point scale. The Alameda County city ranks No. 1 in the country for both credit standing and risk exposure, the latter of which encompasses factors such a liability, the number of underwater homes, the unemployment rate, and job security. Fremont boasts the nation’s highest median credit score and lowest amount of nonmortgage debt and ranks among the top five for the fewest foreclosures. It’s not the first time this year that WalletHub has lauded the East Bay city. In March, the company named Fremont as America’s happiest city for the second straight year before declaring it the country’s third-best place to raise a family six months later. San Jose followed at No. 4, with a score of 64.65. Residents of California’s third-largest city are the third best in America at stashing cash and like its neighbors count among those with the least amount of debt unrelated to a mortgage. 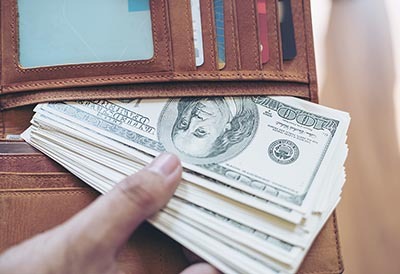 WalletHub offers a handful of common-sense tips for getting your monetary house in better shape: Pay bills on time, avoid unnecessary indulgences, shop ound for financial products, get a better job, and save diligently.